I put my hair in four “ponytails” running down the middle of my head going from the very top of my head right to the nape of my neck. I have images of this step below. After I have prepped the hair with the ponytails I start to replace the ponytails with bobby pins starting at the back. I literally put bobby pins on either side of the ponytail because I will remove the hair bubbles later. I pin as close as possible, keeping in mind I do not touch the actual hair bubble because otherwise it is difficult to remove the hair bubble without ripping hair or messing up the hair. I do not pin the sides of the ponytail one at the top because I will make it a Pompadour. 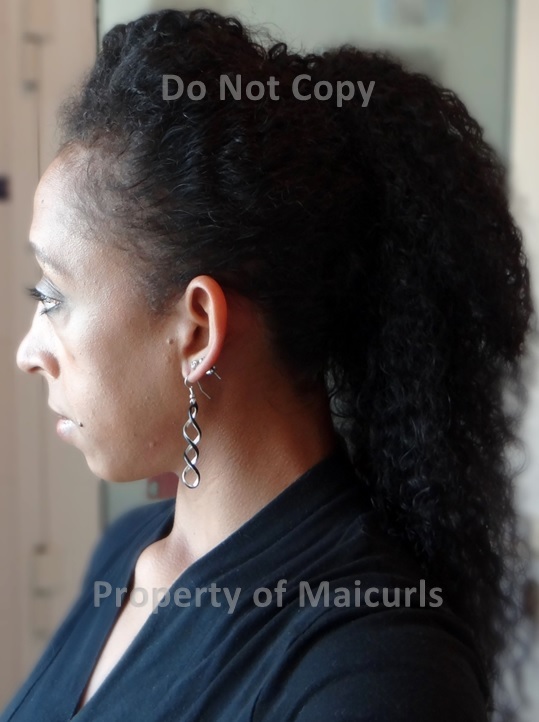 For the Pompadour I split the ponytail into two and pin them separately creating a slight bump. Pictures below. And that is it folks! You can use gel or cream to get a sleeker and polished finish but I was not too fussy about that.